Somewhere along the way, a few cowboys realized that horses would likely be willing to do the same job, possibly with more heart, if they were given the ability to learn it in a gentler manner. What I now refer to as “Traditional Natural Horsemanship” was born. This new way of being with horses was FAR superior to how people had been treating them in the past and allowed the horse a bit of breathing room, making it easier for the horse to understand what was being asked of it. However, confusion still remained and there was still room for improvement. Horses may be gentle and quiet beings by nature but they are certainly not vague or weak. Within their own herds they have a clear and consistent set of rules and there is never any question or variation to these rules. They learn the rules by testing and re-testing each other over and over again. They will know their place in their herd by how the other horses react to their persistent testing and it is always clear what will be expected of them. They are not told they went too far if they get too close to another horse, they are told that they are getting too close. When it comes to people however, this certainty about where they fit in is often missing. Their testing is often met with discipline. Their attempt to find their place is not met the same way they would expect. They are only told after they cross a boundary and not as they approach it, or they are told over and over again to move back, move over or move forward in a low energy, gentle yet weak way. In order to truly provide softness to your horse it is important to have a solid balance and a clear and predictable set of boundaries. I don’t mean that you need to know how to stand on one foot, balance on an exercise ball while holding a bowl of water on your head or walk with a stack of novels on your crown… I mean that internally& energetically you must have balance. You must be flexible yet consistent, firm yet compassionate, gentle yet strong, and clear yet open to feedback. Most of us are really good at one or two of the qualities listed above but few of us are well practiced at all of them. Those of you who are saying to yourselves right now, “I am, I am all of those things”, I want you to ask yourself, are you all of those things all of the time? 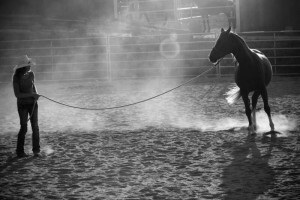 All of the qualities listed above are qualities that belong to the energies of Water, Wind, Ground or Fire and in order to truly provide softness to our horses and get softness in return it is vital that we can become balanced. By becoming a consistent, firm leader who is clear and strong yet gentle and compassionate, flexible and open to feedback, you can become someone your horse will feel safe with. Someone who gives them the same sense of security and predictability provided by their own herd and someone who is fair, letting them know when they are approaching a boundary. Instead of disciplining or correcting a “misbehaviour”, learn to help your horse avoid the unwanted action by helping them to understand what is wanted. 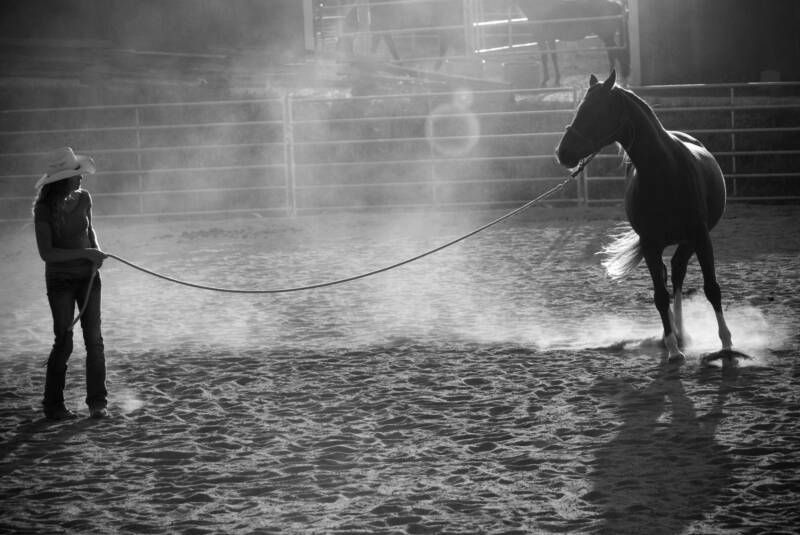 If you truly want the softest horse possible, you must start by providing your horse with the balance you hope to see in them. 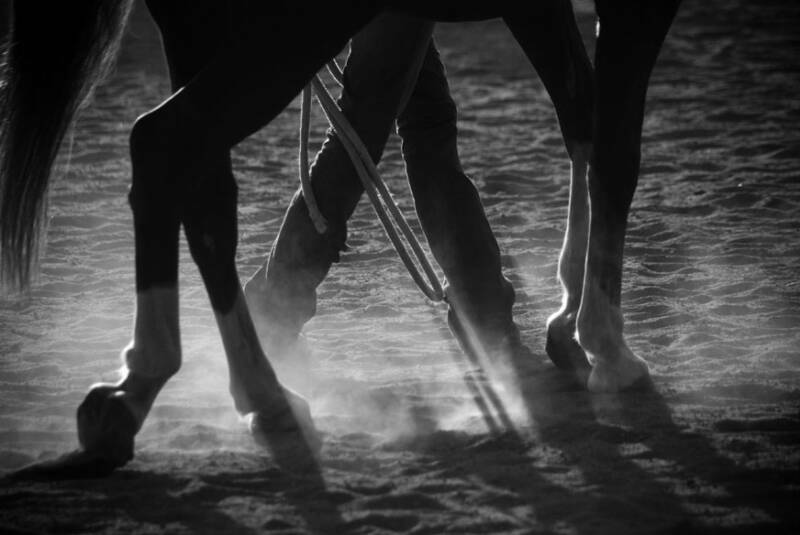 Imagine having a horse who is quiet and solid, full of life and quick to respond, light to both the leg and the bridle/halter and who is right by your side, eager to be with you, work with you and rest with you. A horse who respects your space without fear, responds to your requests without resistance, and who seems to know just what you’re thinking and willing to comply to your plans both at home and on the trail. Finding this softness is possible only through a healthy balance in both human and horse and as the leader, it starts with you. Christa Miremadi does not like to refer to herself as a trainer. 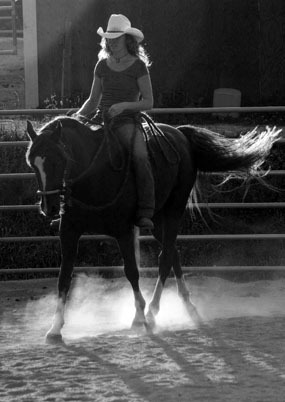 Christa prefers to think of what she does as teaching the horse how to learn. Putting a strong focus on the horse truly learning to understand what is expected of them, Christa sets up each horse that she works with to become a working partner. She not only respects, but honors the horse’s opinion and ability to think, feel and even disagree. Each and every response from a horse is valuable feedback and Christa uses this feedback as information. 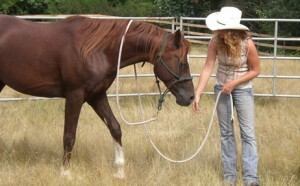 Rather than working towards eliminating unwanted responses and behaviors, she listens to what these responses and behaviors are telling her and works with the horse to create more effective communication, clarifying the areas of confusion and allowing the horse to replace the undesirable behavior and responses with more mutually beneficial ones.